Imagine for a moment if you were the marketing director in charge of a considerably seedy backpacker hotel in Amsterdam. The property you are responsible for promoting is so spartan that they have pictures of chairs on the walls as an ironic replacement to having an actual chair in the rooms. There is no guarantee of toilet paper in the bathrooms. If you were like most travel marketers, you might decide to find a great photographer with a very wide angle lens and considerable creative talents. Then you'd find the best possible way to photograph the property and focus your marketing on some other angle, such as cost or location. For Hans Brinker Budget Hotel in Amsterdam, the right strategy was exactly the opposite: embrace their awfulness and talk about it honestly. 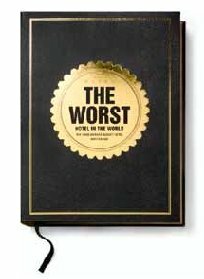 For 15 years, the hotel has been promoting itself as the "worst hotel in the world." As anyone who has ever worked on promoting a destination or travel property knows, sometimes expectations can set you up for failure. Some frequent fliers expect to be upgraded to a seat they didn't pay for, and then get angry when they are not. Patrons of luxury hotels expect perfection, and often feel justified to complain about any little thing, no matter how small. The solution, reasoned Hans Brinker's agency KesselsKramer, was to lower expectations to a point where people could no longer be disappointed. Thus the concept of the "worst hotel in the world" was born. The hotel uses innovative posters and direct marketing to promote their "experience" to their target audience of young backpackers. After all, what twenty-something wouldn't want to return home to boast to their friends and family that they stayed in the worst hotel in the world while in Amsterdam? The campaign has turned the property's biggest negative attribute into the only reason for people to stay. And it has worked, with a 42% increase in occupancy. Their success has even led to a newly launched book. What's the lesson in this for travel marketers? Sometimes being honest and giving people something to talk about is the only thing that really matters. NOTE: This post was originally shared on the new Ogilvy PR Travel & Economic Development blog called Being There, Doing That … which I am a member and contributing writer of. Check it out for lots more great travel marketing tips and thoughts.